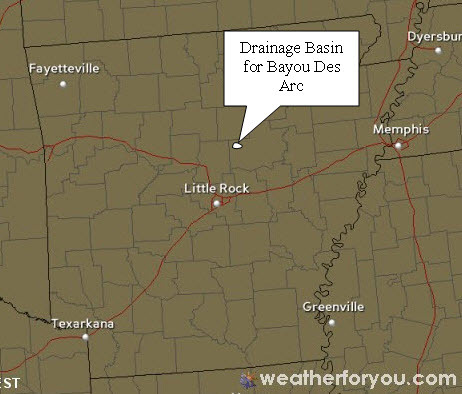 This perky Class II – II+ creek, that in no way resembles a bayou on its upper reaches, is located near Romance, Arkansas. The drainage area for the creek is fairly small, so it takes a good rain to bring the creek up enough to paddle. The water level in the video is about the lowest you would want; a 4″ rain fell on the area a day and a half prior to our trip. The gradient on the first three miles is about 30 feet per mile and about 15 feet per mile thereafter. Trees, both standing and fallen, make up the primary hazard. When there are leaves on the trees you will be confronted with many blind turns. Fortunately, the current is not strong in most places, but good boat control is essential. 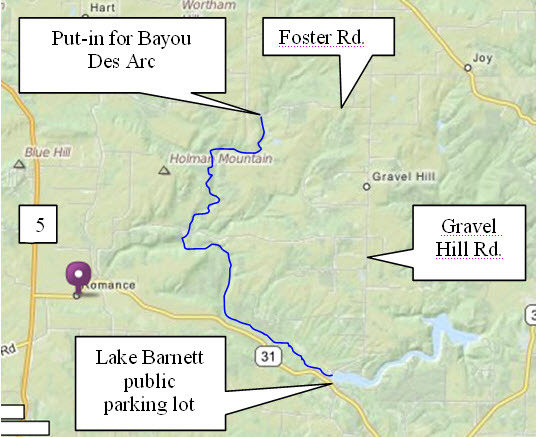 The put-in is located on Foster Road; be respectful of this private property. What i do not understood is actually how you are not actually much more well-liked than you may be right now. You’re so intelligent. You realize thus considerably relating to this subject, produced me personally consider it from numerous varied angles. Its like men and women aren’t fascinated unless it is one thing to do with Lady gaga! Your own stuffs outstanding. Always maintain it up!